Yeah, yeah and yeah! I took this from Mike Dooley and have to agree. 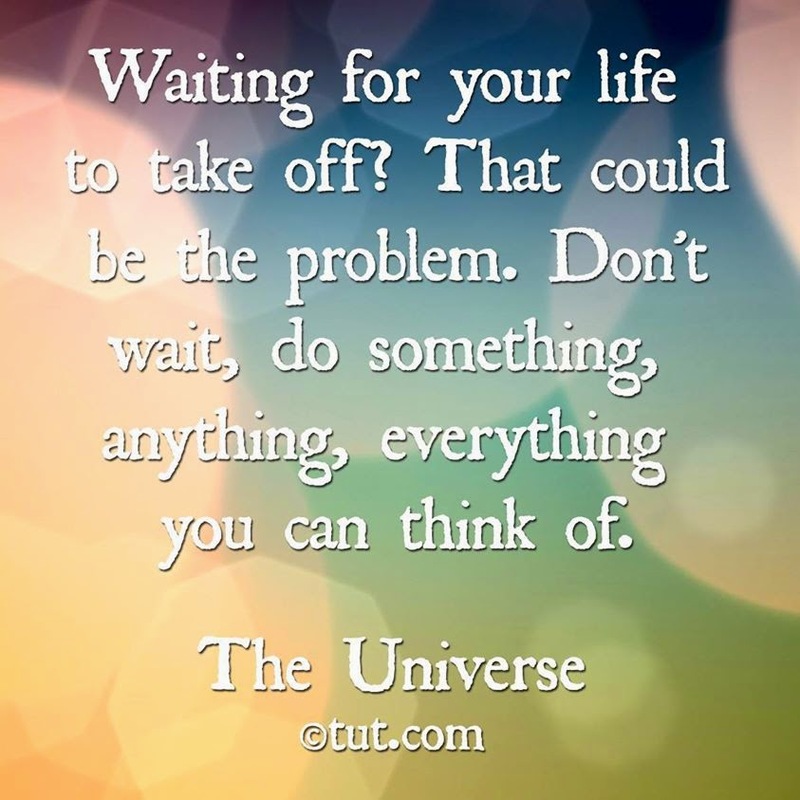 I see and talk to a lot of people who seem to be in limbo, waiting on something or some reason to do something. And you can only talk to them so many times about gathering the resources they have available, and to at least try to make an effort no matter how small. But one thing that happens when you continue to do that, you start to wait alongside them. You start to take them on as a frustration within yourself. You start to soak in those vibes. It starts to infect your progress–your thinking. It begins to make you angry. Then you realize it's not worth it. None of it. Especially if you can see that you've come too far in your own progress. Especially when you've been showing up to your own Life. Give yourself a pat on the back and realize that you're outside of the 95% margin of people who wait.